On November 27th we celebrated Cheryl Steinkamp’s 6th year work anniversary. As Intelisyn’s Director of Healthcare, Cheryl is onsite at City of Hope in Duarte, CA. 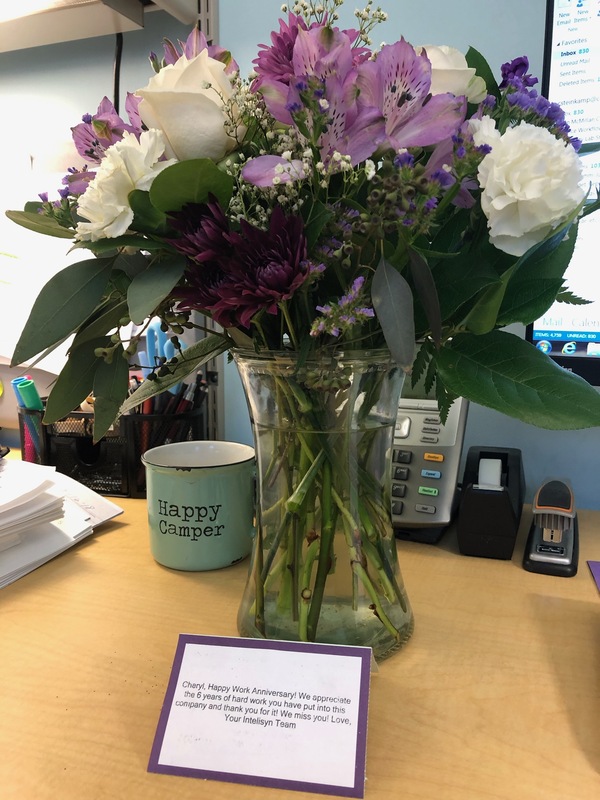 Though the office team misses her, we were able to present her flowers on site (her favorite color). Thank you, Cheryl, for all of your hard work and dedication over the past 6 years! 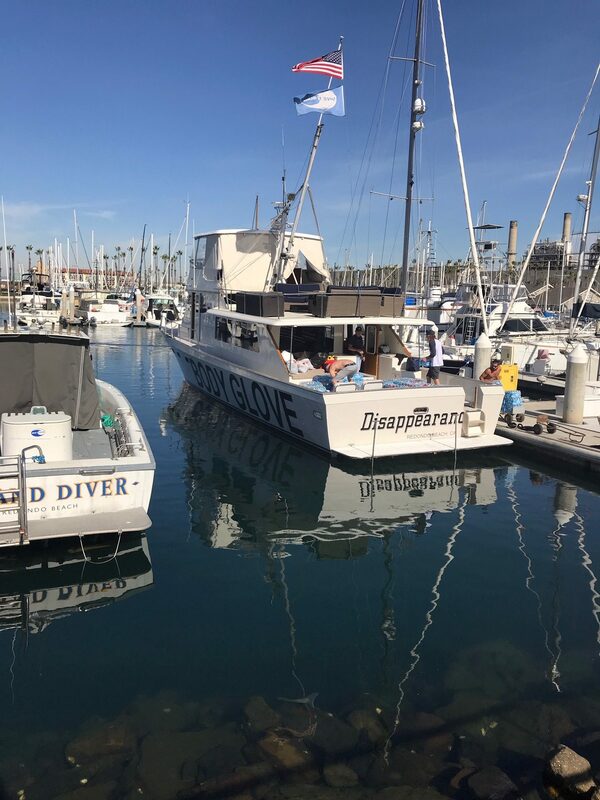 Posted in Awards, Intelisyn "The Softer Side"
November 9th 2018 – Dive N’ Surf’s infamous “Disappearance” shuttled multiple boat loads of water, food, and aide supplies to Malibu as road access was closed due to the Woolsey fire . 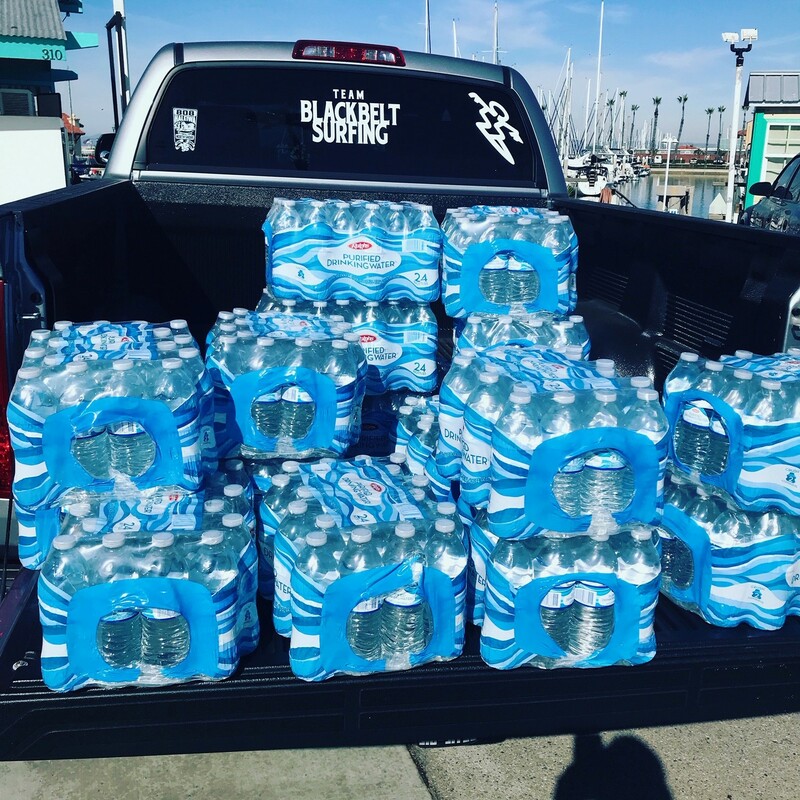 Intelisyn, through our Executive Director, Karen Garcia, and her husband Ray Garcia donated cases of water to assist Dive N’ Surf’s efforts and help those effected by the fires locally here in Southern California. We grieve and pray for the loved ones lost and homes destroyed by this horrific event, as well as the fires that took place in Northern California.